1. Make sure that the cover blocks are at right position and stay okay while concreting. 2. If the concrete is prepared at site, carefully handle the process of batching, water content, mixing and testing of fresh concrete. 3. Ensure that the beams are primarily cast in layers and compacted properly by vibrators. 4. 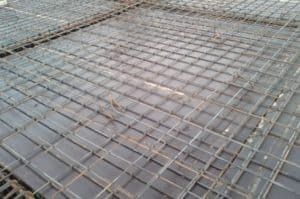 Make sure that one carpenter and one helper is always present under the shuttering slab to confirm that it is supported well and will stay constant during and after concreting. 5. Assure the presence of a bar bender to avoid displacement of steel reinforcement. 6. Never permit extremely smooth finishing for the concrete slabs. 7. Try not to permit sprinkling of dry cement during finishing, It will help to prevent micro shrinkage cracks in the concrete. 8. Put the chairs appropriately to avoid disturbance at the top reinforcement bars during concreting. 9. Try to prevent cold joints in the casting slab. 10. In case of concreting in hot weather, protect the concrete surface by covering with wet gunny bags at least for 4 – 5 hours. 11. In case of concreting in rainy, windy, or extremely hot weather, put a cover of tarpaulin over the slab. It will protect the slab from getting damaged. 12. To prevent plastic shrinkage cracks in the concrete slab, avoid drastic drying of green concrete. 13. Ensure full compaction and complete finishing of the concrete. Cold joints and Segregation in the column. Which one is a better choice? If concreting is done at night proper lights arrangement should be checked prior to concreting. Level to be marked for concrete so no extra concrete occur in thickness of slab.